Mr Muneer Mohammad is a Consultant Gastroenterologist with a key interest in luminal gastroenterology particularly inflammatory bowel disease. 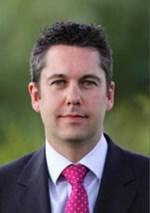 Mr Robert McCormick is a Consultant Urologist at Blakelands Hospital, Milton Keynes who specialises in general urology. Mr Liaqat Chowoo is a Consultant Urologist in Milton Keynes who specialises in Urology. Miss Andrea Kerr is a Consultant Ophthalmologist in Milton Keynes who specialises in eye surgery.